When should we schedule a Newborn Session? 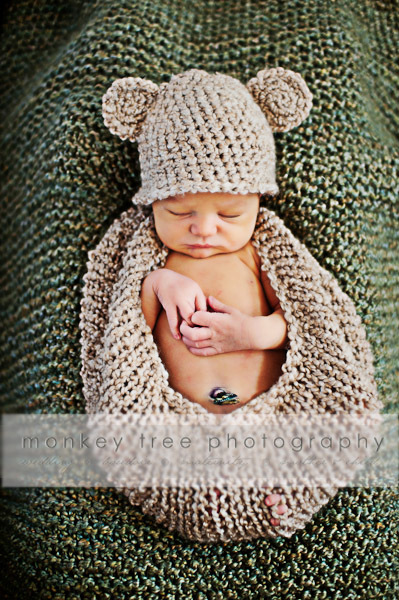 That being said, please don't hesitate to schedule a session if your baby is here and already a few weeks old. We will still get some beautiful shots! 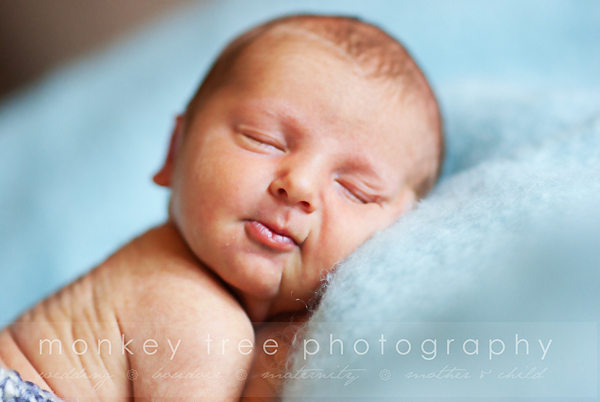 A sleepy baby is a photographer's dream, so feeding just prior to my arrival is best. I realize that with new parents, baby-feeding isn't an exact science... please don't worry. I'm a professional, and will make it happen! If your baby is having a bad day, some tummy issues, or not feeling well we can always throw in the towel and reschedule. Where should the photo shoot take place? Our session will ideally take place in your home, but my studio is also available (just for Baby, we can't do big families in the studio). Don't worry about how messy/cluttered your house is, the important thing is that your baby is there, and we have a bed or floor space that gets nice morning light. I don't generally bring additional lighting equipment for infant in-home shoots, because there is always a place that will work. Be prepared for me to take a quick tour of your home, scouting the best light. In the past I have used guest bedrooms, Mom & Dad's bedroom, the master bathroom, and the living room floor. I may move furniture to clear a space. I prefer the in-home shoot because as new parents, you are generally more comfortable in your home close to all of your baby's things. It's easier for me to pack up my things and come to you! To assure that Baby is warm and comfortable when we have very little clothing covering his or her skin, I will often layer a heating pad (low setting) underneath the blankets in use, or use the heating pad to warm an object that we'll use soon. Remember that Baby is usually in long sleeves with legs covered, wrapped in a blanket. Being warm will help your little one to stay relaxed and comfortable-- the room where we shoot should be very warm. Vents that blow directly to where Baby is placed should be redirected for the time we're shooting. In general, if the grownups are too warm, Baby will be most comfortable. If your baby is hospitalized for an extended period of time and you desire hospital portraits, I am happy to oblige so long as it is safe for Baby. You'll need to be sure that your caregivers will allow it (again, I bring no extra lighting equipment, just my cameras and a few blankets/props). I'm very comfortable in a NICU environment. Because newborns are so simply and naturally beautiful, I prefer to shoot with the baby either in a diaper/diaper cover (I've got one, don't worry!) or naked. Clothing can be very distracting, and because of the way Baby curls up and moves around, it can bunch up and be difficult to "fix" once Baby has fallen to sleep. The idea is to showcase the incredible miracle you've just brought into the world... not the latest fashions. 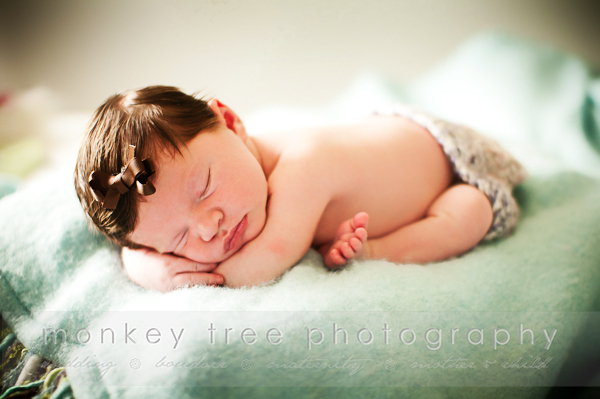 I have some "cocoons" and wraps that we can use to cover Baby and add interest/depth to the images. 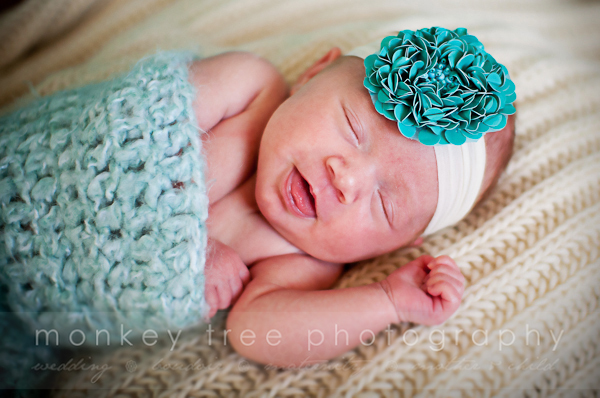 Simple hats and headbands are always cute, too... and are a good way to help show that your baby is a boy or a girl. I've got plenty of stuff like this, but if you'll be providing some of your own, please try and look for colors that are soft/deep as opposed to very bright. I also provide all the pillows, baskets, bowls, etc. that we'll need. Please don't feel that you need to go out and buy cute stuff! If there is something specific you have seen in one of my infant portraits, please mention it to me so I can be sure to try and achieve a similar look for your baby's session. If you have a special blanket or item of clothing that is meaningful, I am happy to work that into our shoot. You might also consider items (given as gifts to Baby, or something important to you as parents) that we can work into the shoot. If siblings are to be included in the session, please keep their wardrobe colors very muted/gentle. If they're young enough and it's appropriate, I will often have the sibling strip down to a diaper/undies and use fabric wraps on them. Everything I bring along is washable. Please don't be upset if your baby wets or soils something I've brought! I expect that this will happen from time to time, and I will take care of cleaning the item. Along the same lines, please understand that there isn't really any "professional" clothing I can wear that will allow me to sit on the floor, move freely, bend, snuggle Baby, and handle being wet, spit up on, or worse. I will arrive dressed quite casually and comfortably (usually in yoga pants and stretchy shirts) because infant portrait sessions can be quite a workout! I usually shoot barefoot because I'd prefer not to get the bottom of my shoes in contact with blankets and pillows we're using. New parents also should not worry about dressing to impress me... Please be comfortable! If you would like to participate in the session, just worry about your top. I hardly ever shoot full length parents at a newborn session. Keep your wardrobe colors muted and simple. How long will our photo session last? What should we do while you're shooting? Please plan for the photo session to last anywhere from one to three hours. It's so important that Baby gets comfy and relaxed! I have a few baby-whispering tricks up my sleeve to calm infants, but the sleepiest, most relaxed babies are those who have just finished nursing/feeding. Be prepared for your baby to nurse/feed more than usual during our session-- as this is fairly common. It's comforting and Baby is, in some small way, undergoing a little bit of stress by being introduced to me, all of my things and new smells, and being handled more than usual. I may ask you to help during shooting, or I may ask you to simply stand by and watch. If at any point you feel uncomfortable or need to hold/comfort your baby, please do not hesitate to let me know-- you absolutely know your baby best, and can anticipate his or her needs far better than I can. The key to success is a calm set of parents and a full, happy baby. Please do NOT bring extra family members to the portrait session area/room-- Mommy and/or Daddy only. If there are siblings you wish to include, I ask that you arrange for them to be cared for by someone else during the shoot. 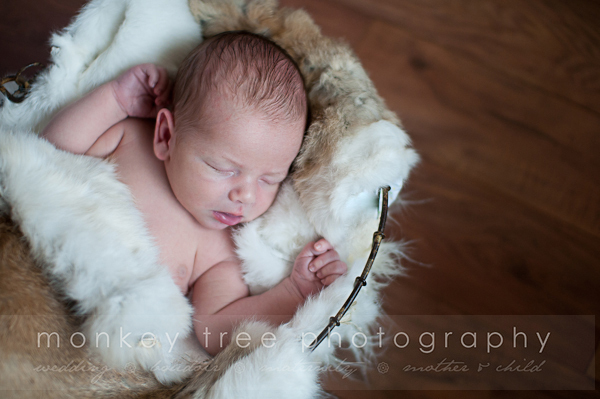 We can bring them in once we have finished Baby's individual portraits. Siblings (especially those under 6 years old) can often become upset when they are not the center of attention, and can be distracting to the photographer and parents. It's best to invite them when we're ready. Full bellied, freshly napped siblings are generally the most cooperative. Please do not feed them snacks while we are shooting, as these often end up showing in the pictures (especially sticky or crackery/bread items). Keeping a sippy cup on hand is always a great idea. Will you take pictures of us, too? Of course! Your first new-family-portrait and images of your hands with Baby's, Daddy's hands holding baby, etc. are also very powerful. If you'd like to participate, please remove all watches, bracelets, etc. unless they are especially significant to the birth of the baby (or sentimental pieces that you actively want in the pictures). 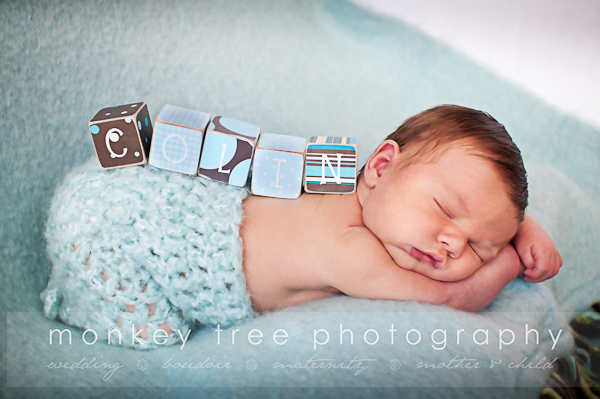 To schedule your newborn's session (or if you have any questions I can answer) please don't hesitate to contact me! 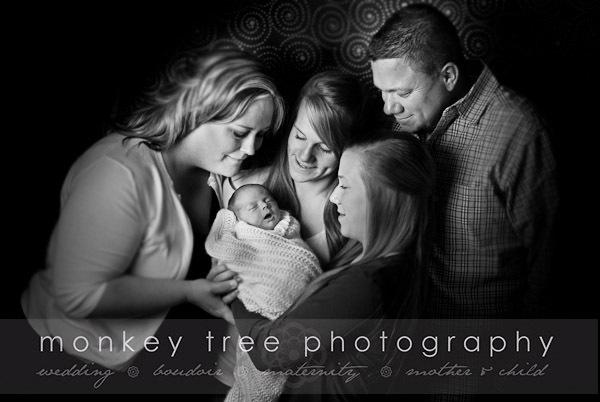 Infant sessions in the home begin at $500, and include custom birth announcements.